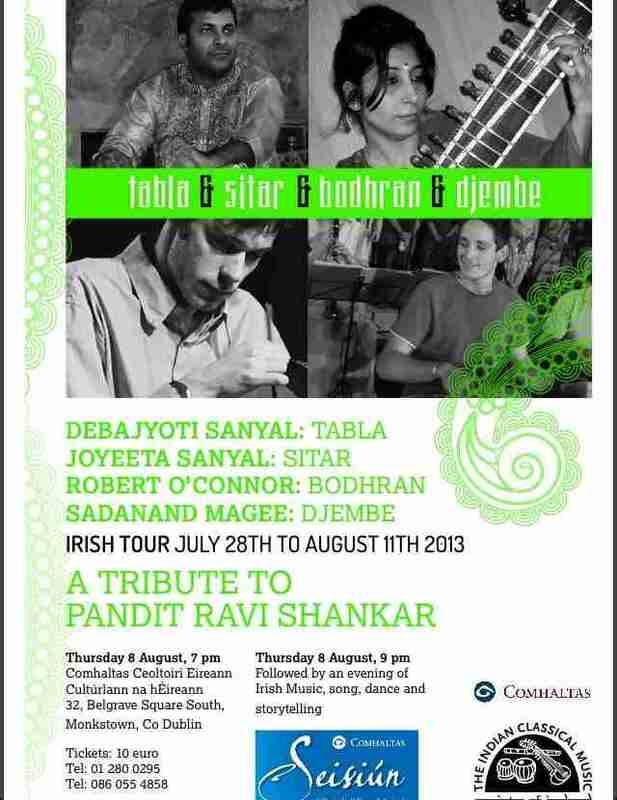 Robert O Connor is excited to be part of a fusion concert of tabla, sitar, bodhrán and djembe. The Indian Classical music Society will host visiting musicians Debajyoti Sanyal on Tabla and Joyeeta Sanyal on Sitar who will be joined by Robert on bodhrán and Sadanand Magee on djembe. 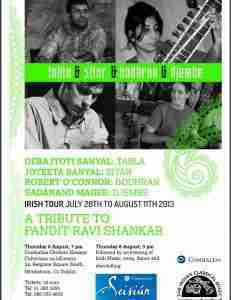 Debajyoti and Joyeeta tour around Ireland from the July 28th to August 11th and promise to be a fantastic series of concerts.